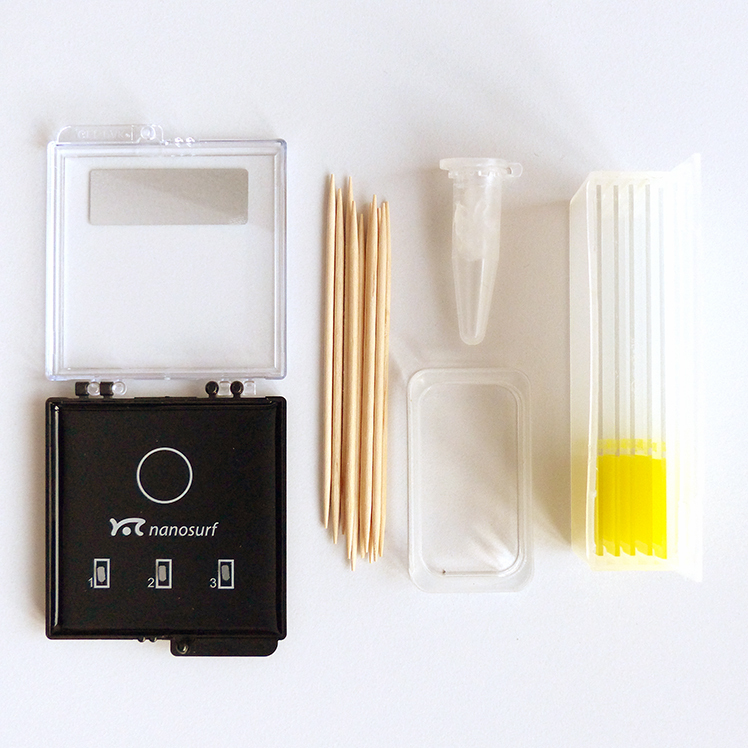 The liquid imaging mode kit provides the contents to create a simple liquid cell with a glass slide as the bottom. It is also possible to use cover slips exceeding the acrylic frame size as a bottom. The liquid cell can contain up to about 4 ml of liquid. Three static mode cantilevers with a gold reflection coating are included to get started. For advice on other cantilevers for imaging in liquid, you can contact our application specialists.